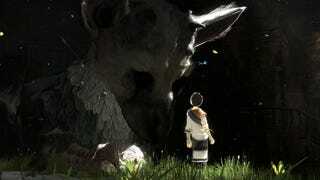 IGN Says The Last Guardian Has Been Cancelled. Sony Says It Hasn't. IGN is reporting that, according to "sources" privy to an internal Sony meeting last week, Sony's The Last Guardian - long in development limbo - has been canceled. Only for Sony to come straight out and deny it. While many at IGN have been eagerly hoping for the appearance of The Last Guardian at E3 this year, we won't be seeing the game anymore. IGN has received a report this evening that "The Last Guardian is finally cancelled." According to our sources, the information was disclosed in "Sony's internal meeting last week." For reference, @yosp is Shuhei Yoshida, President of Sony's Worldwide Studios. We're contacting Sony for clarification and more context, and will update if we hear back. UPDATE - IGN has since amended the story to say the original report came from IGN Russia, and now writes "We're committed to getting the full story and will be updating this piece with more information as it develops." UPDATE 2 - SCEA's Shawn Layden tells Geoff Keighley that the game "is in full development in Japan". UPDATE 3 - IGN has issued a full retraction and apology. IGN erroneously reported the cancellation of Sony’s long-awaited title.